President/Owner of Secur-Tek, Inc., which provides quality low-voltage systems to North Carolina customers since 1990. A new deck or stone patio? Your imagination runs wild with the vision of family, friends and neighbors laughing and talking in your backyard – but wait …. there’s something else making it fun and festive – music!! With a sad glimmer of nostalgia, you remember the boom box that used to crank out your favorite party tunes (Jimmy Buffett comes to mind) – too bad that sudden summer shower destroyed it! With those fond memories running around in your head, you decide to look into something more durable. 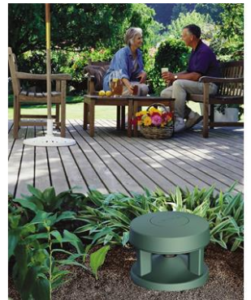 Something that is designed specifically for your yard where you can enjoy high-fidelity sound without worrying about the batteries, extension cords or weather. Guess what… you’re in luck! Outdoor sound systems have come a long way since the boom box era. When installed professionally, today’s systems produce extremely high-quality sound for listeners’ enjoyment. They are also very durable and can sound great for many years. However, there are a few key factors to consideration when designing your musical environment. First off, an outdoor sound system can’t take advantage of the reflective surfaces that make indoor speakers more efficient (e.g. floors, walls and ceiling). In addition, there is ambient noise from passing cars, chirping crickets, and kids at play to consider in your design. Because of this, outdoor speakers require enough oomph from an amplifier with sufficient wattage to power them. The most common mistake people make with outdoors systems are under powering them which leads to distorted sound, or worse, blown speakers. Consideration must also be given to the specific design of the area where people are to gather and the type of music you prefer to play. If your area is large, you’ll want to spread the load among multiple speakers and ensure optimal positioning. Multiple speakers playing softly in the right positions will sound much better than a few pushing too hard. The backyard environment will also expose your system to the extremes of our North Carolina weather. Quality speakers must be able to endure sun, rain and hot/cold temperatures while melding in nicely with the landscaping. There are two basic types of all-weather speakers used: simple bookshelf-type models wrapped in protective casings, or stealth speakers that masquerade as garden rocks, flowerpots, or even benches. Although these speakers are built to be left out year-round, they will last longer and look and sound better if care is taken in determining their placement. For example, box-type speakers can be positioned under the protection of eaves or arbors. In the case of stealth speakers, they can be integrated and protected by natural cover like trees and bushes. Finally, for convenience and user flexibility, wireless outdoor speakers are ideal. They operate on a designated frequency to deliver sound from your audio devices or Internet radio and can be tied into your home automation system. So, this summer, you can stop just thinking about it and create the outdoor experience you have always wanted by adding quality sound to liven up gatherings or help you relax after a long, stressful day. For more information on designing and installing quality outdoor sound systems, please contact Ken Henke at Secur-Tek: (919) 387-1800. 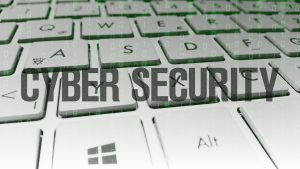 Cyber Security is the No. 1 concern for small business owners, according to a recent Business Journal survey. That concern is warranted: many go out of business after a security breach. The cost to correct such attacks is often more than $36,000. As a result, 60 percent of such businesses shut down within six months of a breach. Educate your team. 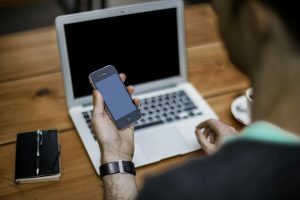 If an employee doesn’t realize an email is a scam, he or she might compromise his/her computer. Be prepared. You have a fire evacuation plan in place for the building. You should also have a plan in place to handle different types of cyber security attacks. 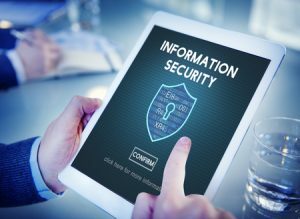 According to a 2012 nationwide study of small businesses, 83 percent of small businesses have no formal cyber security plan, and another 69 percent have no plan at all. Install anti-malware and antivirus protection and run it after any software updates. Many cyber-attacks occur through malware and aren’t noticed until too late. Update all software. Software updates often correct security bugs or problems. Make sure your team members are updating things or have an IT person handle it for everyone systematically. Pick up the phone and verify things instead of using emails, especially for credit card information and other financial data and transactions. Secure your hardware. In many cyber-attack cases, thieves first break in and steal employee laptops and other equipment. The physical loss is harmful, but thieves can also then use that equipment to hack your information. Physically lock items to desks. Keep all server rooms locked and closed when not in use. Make sure your building has a security system, including monitoring and cameras. Secure your Wi-Fi. Disable the service set identifier (SSID) broadcasting function on the wireless router so others cannot see the network. Also, update your Wi-Fi to the latest encryption standard. Encrypt your data. Operating systems comes with encryption tools such as BitLocker and FileVault for PCs and Macs, respectively. These tools encrypt everything as long as the system is logged off. Keep in mind that while someone is logged on, a hacker can still get in. Set employee computers to automatically log out after a certain length of time. Change passwords. Require employees to change passwords each quarter. Passwords need to be at least eight characters, a mix of letters, numbers, and symbols. Never use personal information or family birthdates. Even with security, you may still be hit with a cyber-attack. Many companies are turning to cyber security insurance policies, just as they rely on insurance in case of an office flood or burglary. The demand for such policies is growing. If you have in-house team members managing security, consider a policy that protects against their errors as well as any packaged software problems. Concerned about security at your company? Give us a call to learn more about protecting your office and equipment. Home theater systems make watching your favorite movies — or the upcoming Super Bowl — way more exciting. With the right screen and sound system, you feel as though you’re part of the action. 1. No hassle. The day before the big game, you’ve got cables and cords all over the place. Hours later, you’ve tested one way, tested another. You can avoid the hassle by calling on our team to make sure the connections are not only correct, but stowed away attractively and neatly. Plus, our team can answer any questions you have about the system and how it all works. You can then spend more time basking in the glow of the amazing system before your friends arrive. 2. Better picture and sound quality. You just spent good money to buy the best quality products. Great! But setting up the system wrong means you won’t get the best quality audio or video. Why spend that money only to lose out due to an error? Proper calibration, set up, and the room acoustics all go into the right system. Our team can make sure your home theater impresses friends, visitors, and even you! 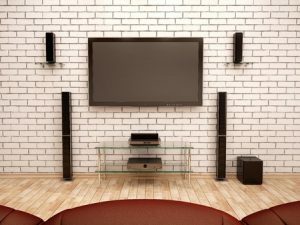 What questions do you have about home theater systems? The team at Secur-Tek is happy to help. Contact us to get your system installed before your next party. If a fire broke out in your home, when do you think that would happen? If you guessed “at night,” you’re right. In fact, half of all fire deaths are reported between 11 p.m. and 7 a.m. when most people are asleep. Three out of five home fire deaths happen from fires in homes with no smoke alarms or no working smoke alarms. In other words, smoke alarms save lives. The second week of October is Fire Prevention Week, and it’s a good time to check your smoke alarm. 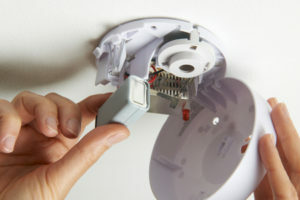 When smoke alarms fail to operate, it is usually because batteries are missing, disconnected, or dead. When was the last time you checked your alarm? Maybe you removed the battery to quiet the alarm last time your oven started smoking while you cooked dinner. Although smoke alarms can be annoying sometimes, that’s the point — you want it to wake you up in an emergency. 1. Change the battery. Many people have heard to change the batteries each time we spring forward or fall back for Daylight Saving Time. That’s coming up Nov. 6, so head to the store to buy some new batteries. 2. Check the date. While you’re on the ladder or stepstool changing the battery, be sure to also check the date on the alarm. Many people don’t know that smoke alarms should be replaced every 10 years. If you have lived in your home fewer than 10 years, you may not know how old the device is. To find out, pull the alarm off the ceiling and look at the back. You’ll see a date of manufacture. If your alarm was manufactured before October 2006, it’s time for a new one. 3. Test the alarm. Once you have fresh batteries and have confirmed the alarm is still within the 10-year mark, it’s time to test it. To test, press and hold the test button. It can take a few seconds to begin, but the loud noise should screech out from the smoke detector while the button is pressed. If there is no sound or the sound is weak and you just put in new batteries, replace the device immediately. Once you’ve finished checking your smoke alarm, be sure to test your security system, which can also help alert authorities in case of fire. For more information on how to do that, check out our recent blog post on the topic. Your home security system is armed and keeping your home protected — right? But what if a burglar invades your home while you are on vacation and the alarm goes off, but doesn’t alert police or fire? The loud alarm will scare the burglar into quick departure, but the police will not realize the emergency unless your neighbors call. 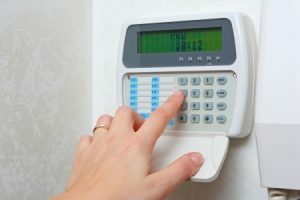 While home security systems and their technology are impressive, anything can happen to an electronic device, especially one that runs 24 hours a day. Lightning and power surges can cause problems. 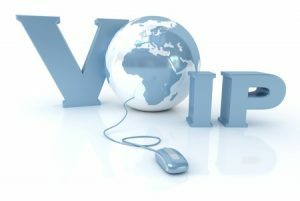 Plus, phone, cable, and Internet service providers are always upgrading their lines and equipment. If you have something replaced or changed, or you see digging in your neighborhood, you might later find your system no longer works. Some homeowners do not arm their systems each day and may not realize something is wrong. Even if you arm the system, you will not be able to tell if the connection to monitoring services is working. That means you won’t know your system doesn’t work until it’s too late. Secur-Tek engineers recommend testing your system each month to make sure everything is in order. In addition, if you have crews working in or around your house, it’s important to test the system before they start and after they are done. Even if your Internet provider is “just replacing your modem,” accidents happen. Newer security systems are programmed to send in a monthly test. If you aren’t sure whether your system does this, ask your Secur-Tek team. To test your home security system, call the central station or the office and ask for a test. They will instruct you to arm the system and open up a door so the alarm goes off. They will then verify the signal was received. The test takes less than 10 minutes. Security systems provide peace of mind and alert emergency personnel when needed, but only if they work — and only if they are armed. We often hear from clients who forgot to turn on the system because they do not use it frequently. Less frequent use also means more false alarms. Once you install a security system, use it every day to get into the habit. It will seem like part of your routine in no time. Finally, don’t forget to check the fine print on your security contract. Many security providers with monitoring require a three-year or five-year contract and some automatically renew. Review your contract so you know when it expires and when you need to cancel. Contact your Secur-Tek team with any questions. 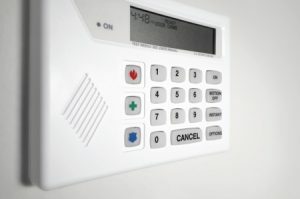 Home security systems are getting better all the time, and not just in keeping your home safe from burglars. Today’s security systems can also monitor many more things about your house, from water leaks to who’s at home. Water Sensors – Remember that time you came home from vacation to find your laundry room flooded? What a mess. Avoid that situation from now on by installing environmental sensors in your kitchen, bathroom, laundry room, and basement. These detectors notify you when floods, leaks and extreme temperatures occur so you can take action and prevent serious wall or floor damage. Leaks also account for 10,000 gallons of water wasted annually — in one household. Pet Friendly Sensors – People with pets at home often worry about their alarm system going off when Fido jumps onto the couch. While that used to be a problem, today’s motion sensors can be set to detect the difference between an intruder and your furry family member. Animals up to 100 pounds can move around your home without tripping the alarm. Plus, home security systems can help you keep an eye on our four-legged friends, alerting you to smoke, carbon monoxide, or other problems. Systems can even tell you if outdoor gates or kitchen cabinets are open. Video – Video is becoming very popular and it’s easy to see why: you have eyes on your home 24/7. You can see who is at the door, when your kids get home, and keep an eye on babysitters or other in-home employees. For pet owners, a live video feed gives you the chance to check on Fluffy from your desk or phone. You can even get a text message, email or video alert when your dog walker or pet sitter arrives or if they didn’t show up. Light Controls – Your home security system offers a way to program lights for different situations, including an off-and-on scenario while you’re away to make the home appear lived in. Forgot to turn off a light when you left? No problem. What’s also fun about this control is the ability to instantly turn off or on indoor and outdoor lights from your office computer or smartphone. You’ll never have to arrive at a dark house again. 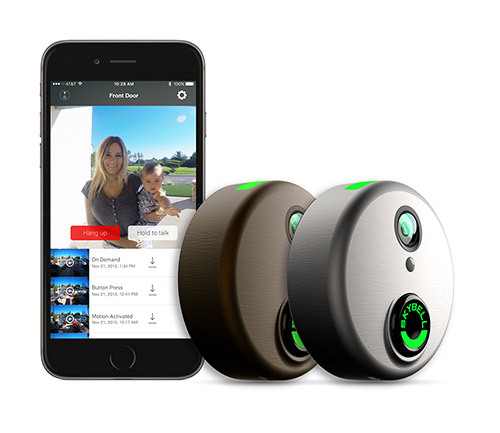 Check out many more fantastic features of our home security systems or contact us to learn more about setting up your home automation.